Apple is all set to launch the new iOS version next week. Although the OS is expected to have some great features and define new rules. Today in this article we are going to have a look on six features that is going to come on your iPhone and iPad before WWDC 17. It's been six years since Apple first launched its virtual assistant, and at the time it was ahead of the game. But in the subsequent years, it's seen more competition from the likes of Amazon's Alexa, Microsoft's Cortana and Google's Assistant. Back in 2015, Apple purchased the U.K.-based VocalIQ, which was working on improved natural language technology. Since then, reports have a number of its former engineers working out of a Cambridge Apple office. In theory, this means the company might be aiming to pump up Siri's ability to communicate more naturally, which, in combination with Apple's heavy investments in machine learning, could make the virtual assistant more powerful than ever, able to handle complex queries in a single bound. For years, FaceTime has been a two-way street (unless, of course, you have the whole family crowded around a single iPhone). But one rumor posted at an Israeli tech blog suggests that the ability to have multiple parties involved in a call, similar to other video-calling services such as Skype, could be included in iOS 11. Speculation is that it could accommodate up to five participants and be integrated with iMessage. 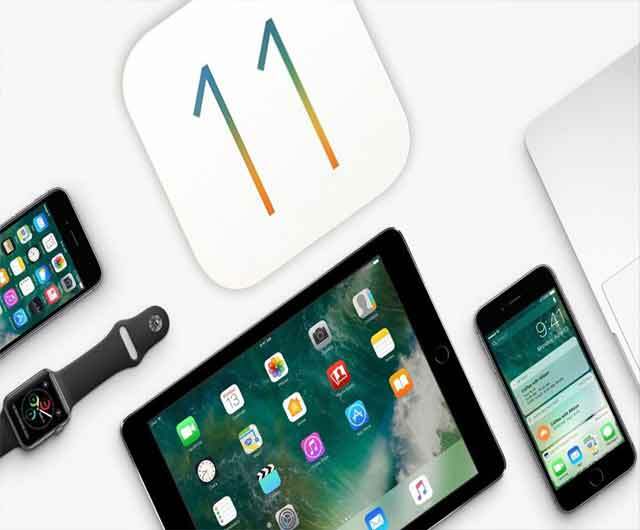 After a major jump in capabilities with iOS 9, Apple's tablet was largely ignored during last year's iOS 10 update. As such, some of the features first introduced in iOS 9 have begun to feel a bit long in the tooth, such as the overcrowded and clumsy application picker for Split Screen mode. It seems likely Apple will spend at least some time discussing iPad-specific improvements for iOS 11, even if we don't get everything hoped for by ardent iPad fans. Some have speculated that perhaps Shared iPad, the multiple account systems for iPads that are only available in Education environments, will finally be available for all users. Inquisitive developers poking around in Apple's macOS-based Simulator uncovered evidence that a "dark mode" for iOS that makes text easier to read in low-light settings actually exists in current versions of the operating system. There's just no way to activate it. It's certainly possible that Apple will offer such a feature in iOS 11 — after all, it launched a similar option for Apple TV last year. Apple's been playing second fiddle to Google Maps ever since it ditched the Mountain View, California, company for its own in-house mapping solution back in iOS 6. But Apple has been steadily improving its mapping solution with each version of iOS. The company's also been buying up firms developing mapping technology, and it's possible that some of those features — indoor mapping and navigation, for example, and deploying drones for faster updating of maps — will finally see the light of day in iOS 11.